C-Welding supplies machines to hermetically seal packages, such as the crystal and SAW devices, optical devices, sensors, MEMS, etc., by seam welding. A seam welder is intended for making a can by putting a lid on a case in which an electronic component is placed. The purpose of putting a lid is the same as that for canned food. It is intended to shut off the outside air from the component inside the package for stable operation for a long period of time. This is called hermetic sealing. 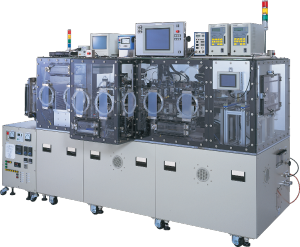 The type of components placed inside the package includes crystal devices,MEMS, sensors and optical devices. Same as the case of resistance welding, seam sealing also weldsthe package and the lid using pressure force and electricity.